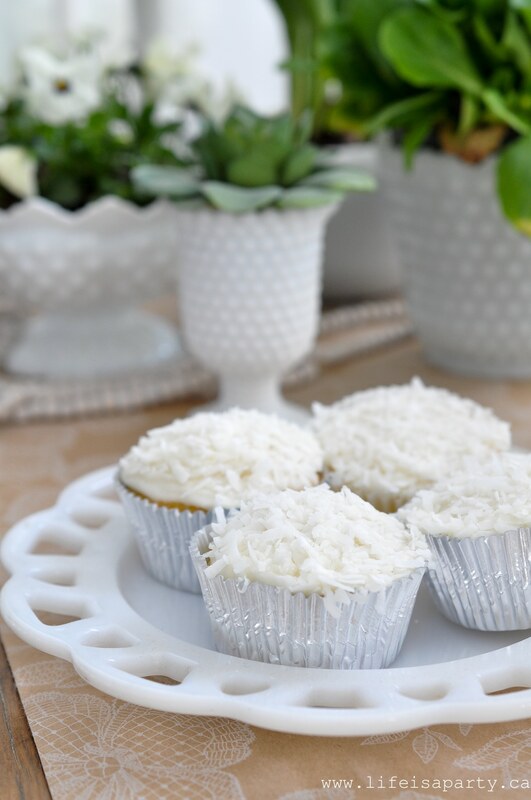 Milk Glass Collection: Vintage milk glass collected from thrift stores, garage sales, and antique shops used for a spring tea party. 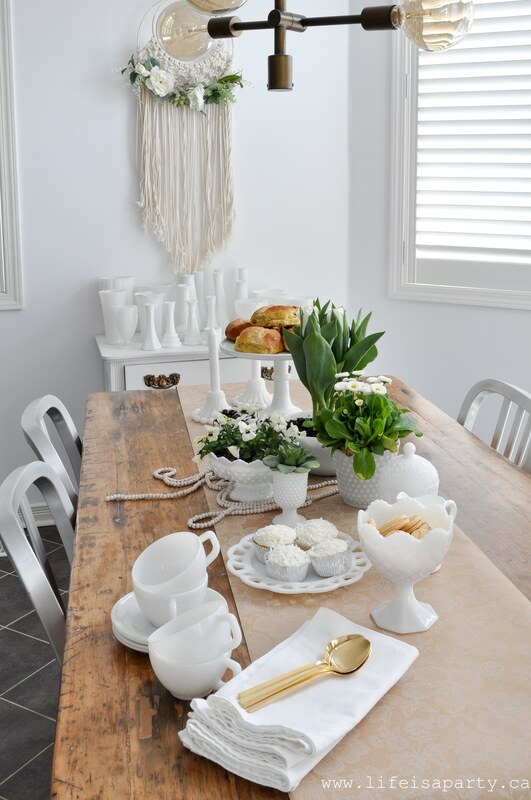 I’m so excited to be joining my vintage loving pals to share my Milk Glass Collection today. Special thanks to Laurie from Vinyet etc. 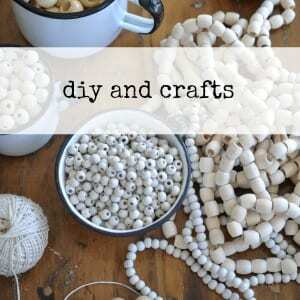 for organizing the Creative Vintage Darlings hop. 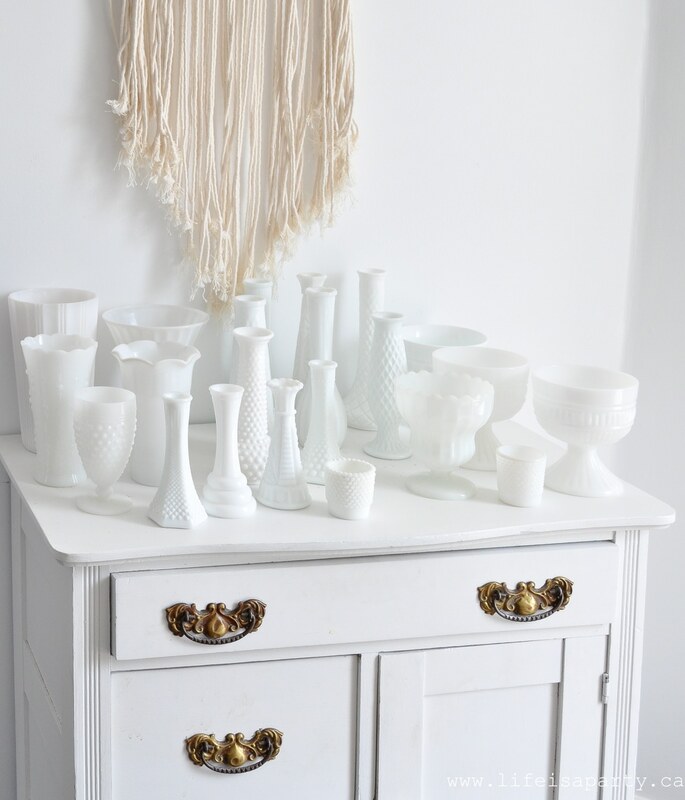 I’ve been collecting milk glass for years. If you’ve been around here for awhile you’ll know that I’m very frugal. I usually only buy it at thrift stores and garage sales, but occasionally I splurge for a piece at an antique store. 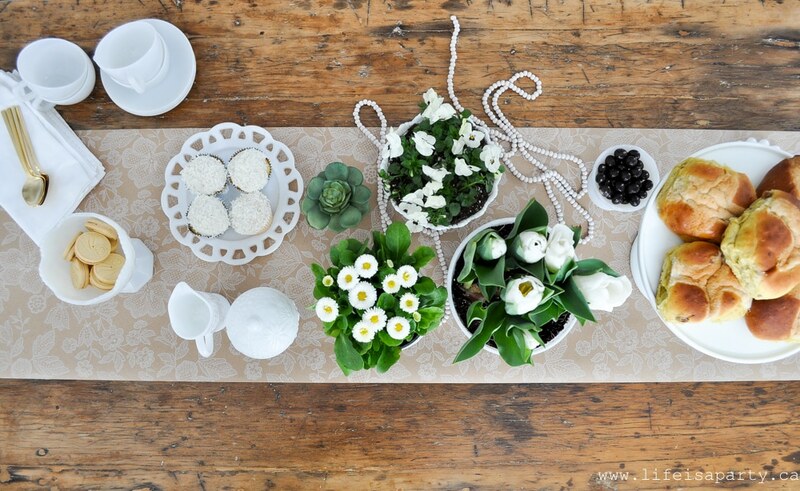 I have the table set up for a little spring tea party. 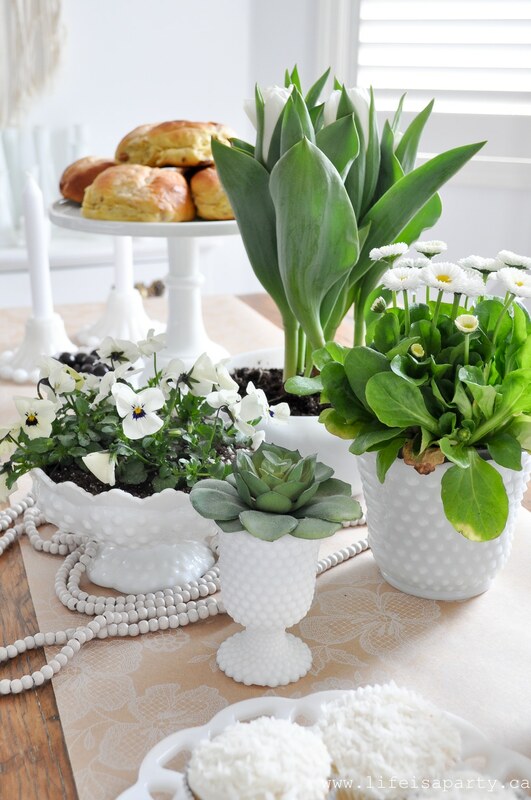 It was all inspired by the idea of planting some pretty white spring blooms in some of my milk glass containers. I picked up some white tulips, english daisies, and little pansies at my favourite local nursery. The succulent is actually a faux one. The runner is actually a piece of wrapping paper, and I love the way it looks with all the white milk glass. 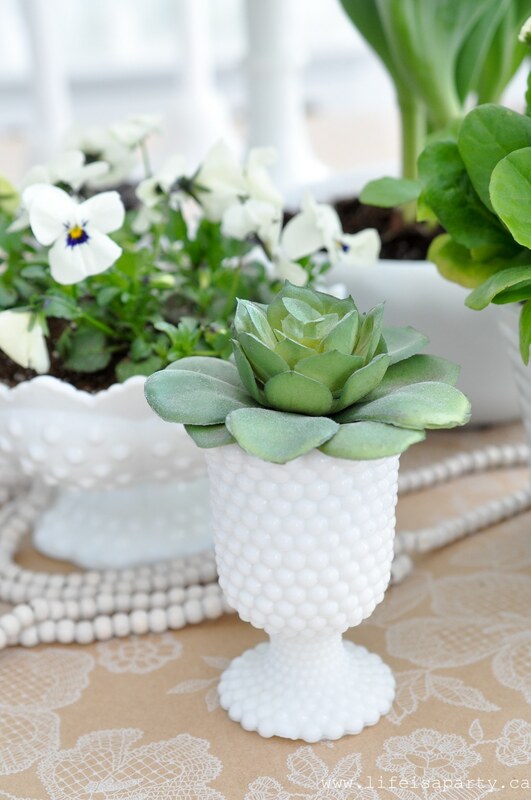 There are so many pretty patterns of milk glass, but a favourite of mine is the hobnail. Most of my pieces have been under $5 finds and I love hunting for them. Although I feel like I have so much now, that I usually don’t buy it unless I really love it. The bud vases are probably the very easiest to find. These were a real go-to for florist in the 50’s and 60’s, which means there’s lots of it around today still. 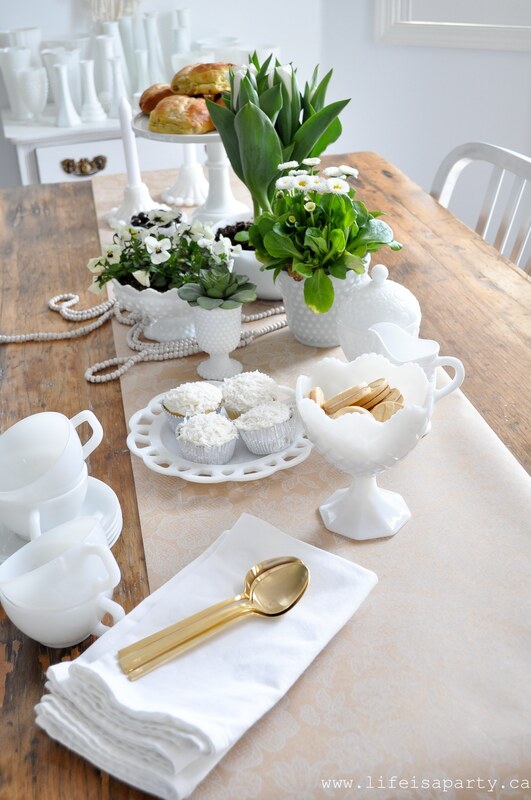 I find that milk glass is great for entertaining too. 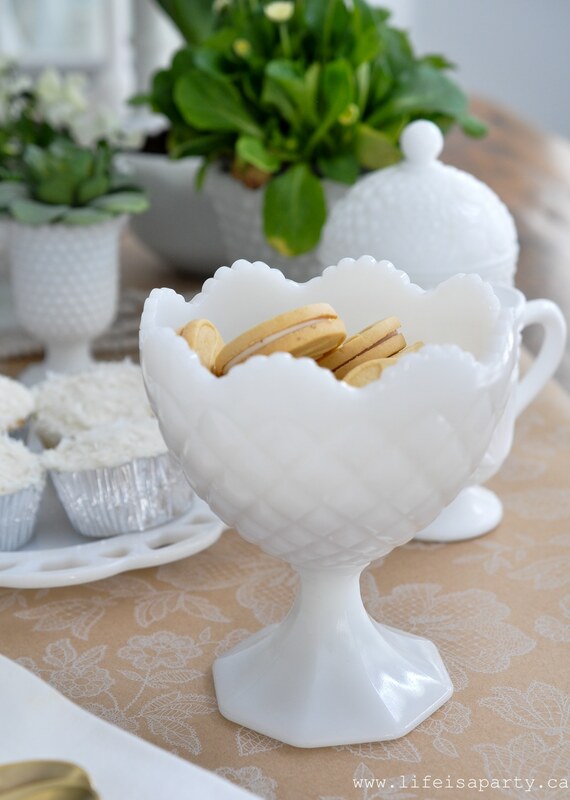 I think my favourite pieces are these footed vases/candy bowls. There’s lots more pieces available than vases though, like this little serving plate. My footed cake stand is actually a reproduction, although there are vintage ones out there too. 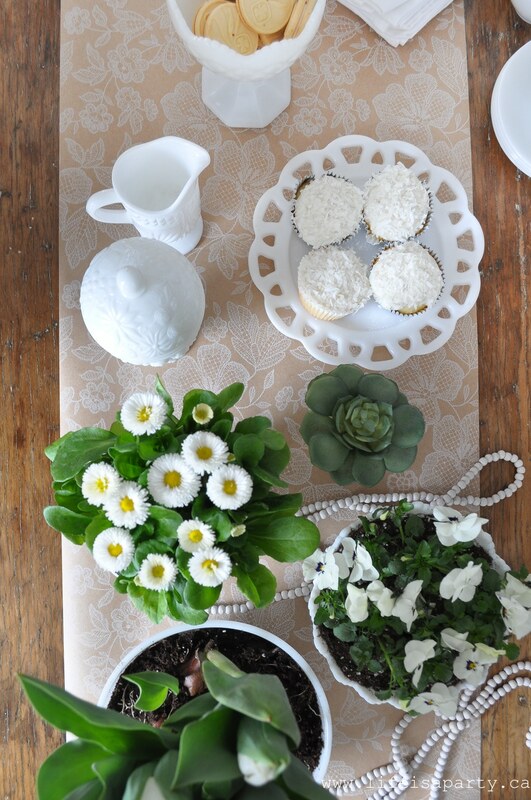 The pretty tea cups are delicate and perfect for a tea party. 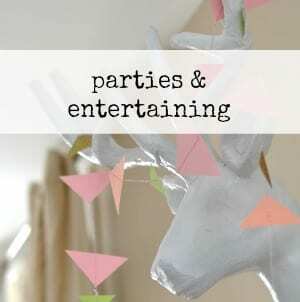 With a pretty milk glass collection, life really is a party! Do you collect something? Are you a fan of all things vintage? 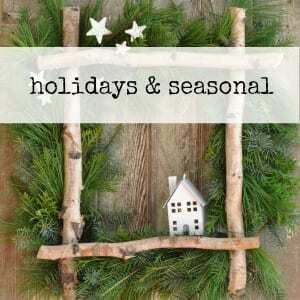 You should check out the Creative Vintage Darlings Facebook page, and follow the #creativevintagedarlings hashtag. 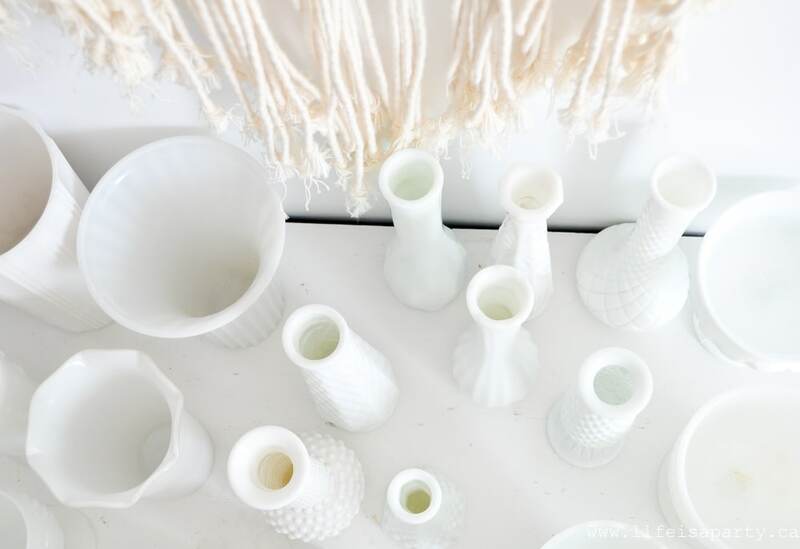 You have a beautiful collection of milk glass. I loved seeing how you both display and use pieces in your collection. Side note – I never would have guessed that your succulent was faux. You have a beautiful collection, Dannyelle! 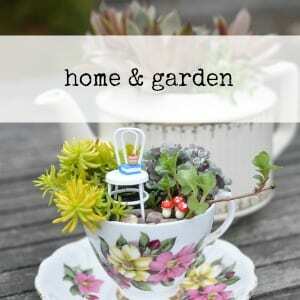 I really love how your plants look in the pieces…I will be trying that! Thanks for sharing! One of my favorite memories was eating grapefruit out of my moms milk glass bowls in Florida. So funny how a vintage item brings out such a warm and happy feeling. OH MY WORD! 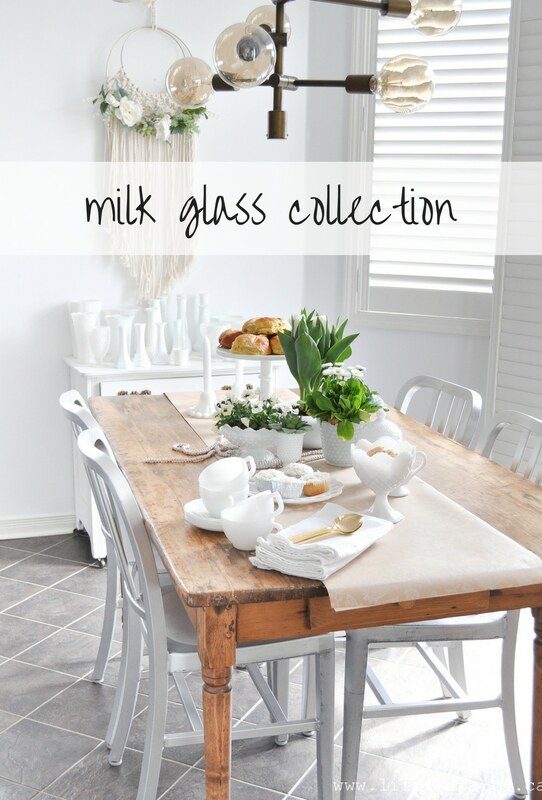 I have a collection of milk glass too but it’s nothing compared to what you have! 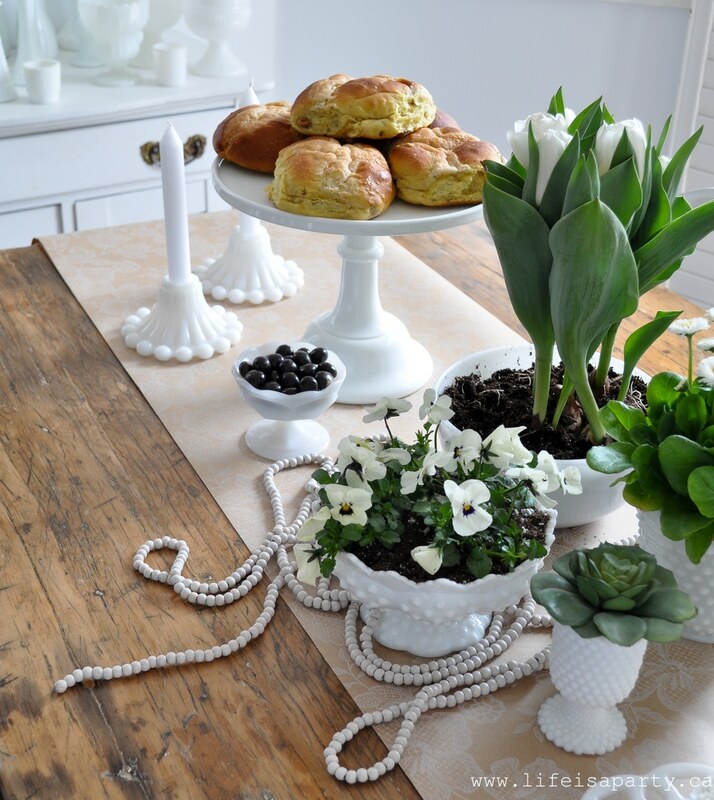 It’s all so gorgeous, and so well displayed here on your table. Love love love. Linda, thank you so much. I love giving people ideas. 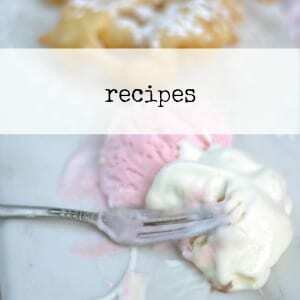 Karin, that sounds like such a lovely memory and I love that you thought of it when you saw my milk glass. Thanks so much for sharing it with me. You are so right about enjoying it. A lot of mine is packed away in boxes. Come Memorial Day, I am going to mix my bit of red glass, cobalt glass in with my milk glass for a lovely patriotic vignette that’ll be good through Fourth of July! I have a lot (in chaos and dust) on top of a buffet) but it’s crowded and dusty! Not what it should be! Kathy, that sounds like the perfect plan for enjoying your vintage treasures.